3 Day Earth/Clay Plaster Workshop. Olympos, Turkey. This course is now over. Stay tuned for more courses in Europe and beyond. Make simple earth/cob sculptures like ovens, alcoves and shelves. PRICE: 110 Euro (full payment required to reserve a space). 2 nights at Sheriff guest house in the beautiful Olympos valley. Breakfast and evening meal for two nights. Three days earth plaster course (starts at 1:00 on Friday 14th and finishes at 17:00 on Sunday 16th). How to test your dirt. How to mix earth/clay plaster for every climate. 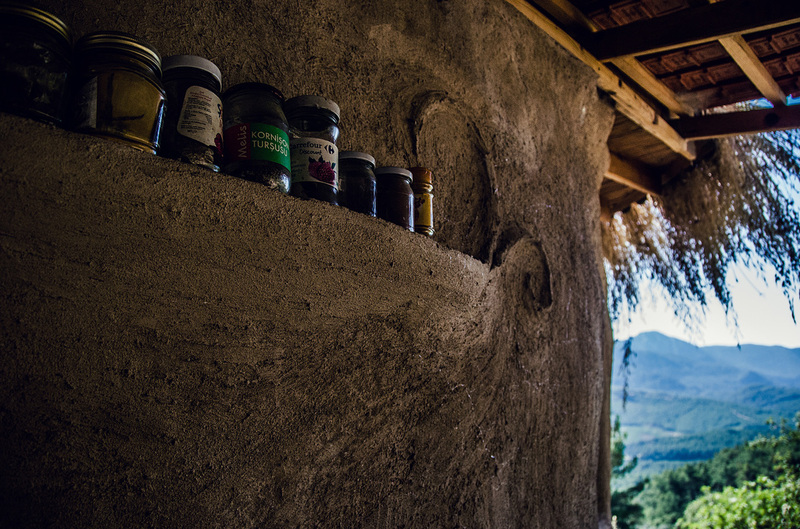 What each ingredient in the plaster does. 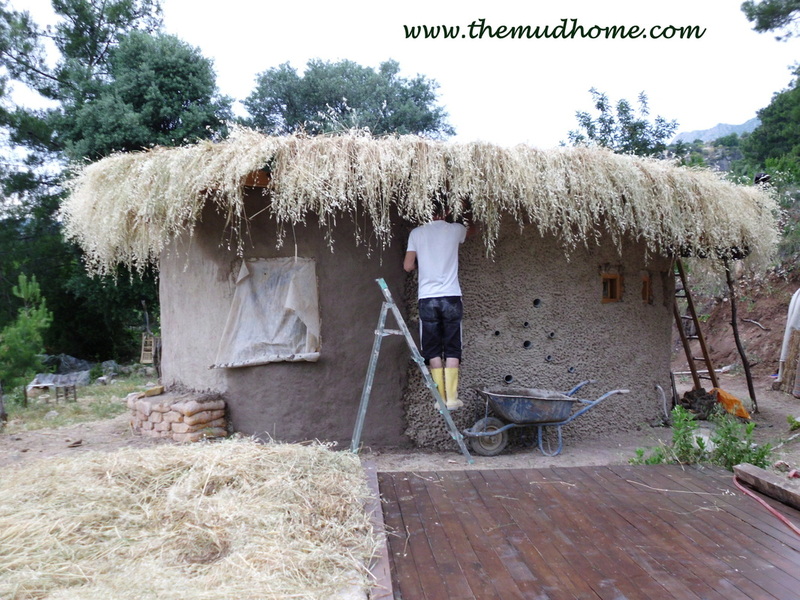 How to add the various layers when rendering an earthbag house, stone wall or straw bale home. How to repair and maintain the plaster. Techniques for sculpting the plaster into...well anything! How (and when) to use mud as mortar. 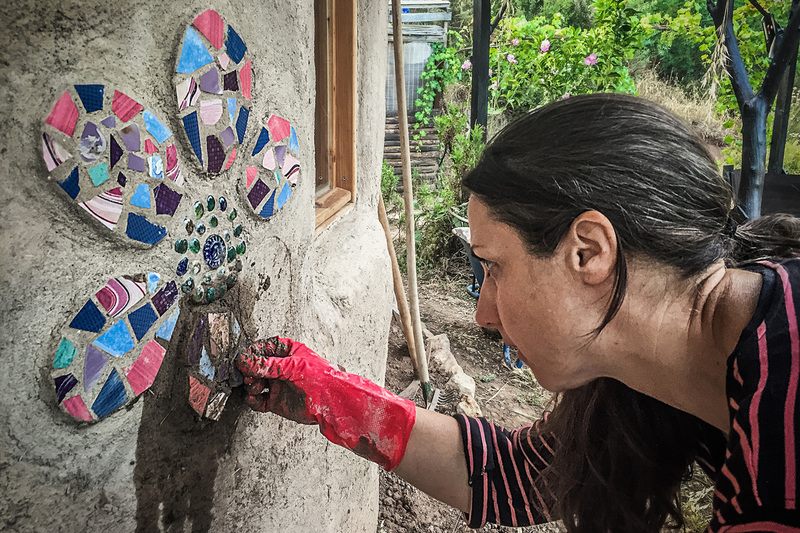 How to make earth plaster mosaics and other pretty stuff. ​Cost: 110 Euro (full payment required to reserve a space). There are limited places (12) so reserve a space to avoid disappointment. Reserve a space on the course.